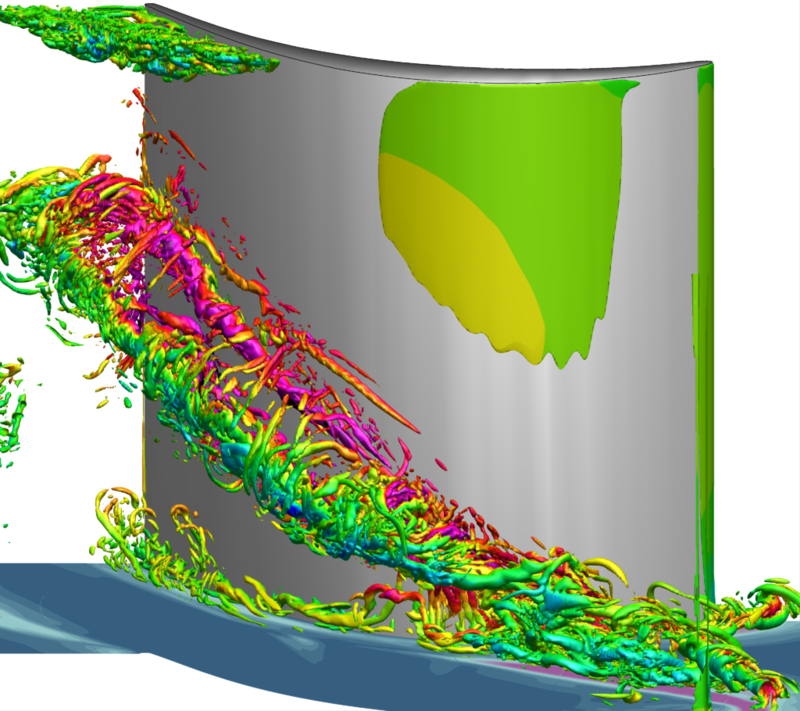 More powerful computers and modern simulation methods make numerical simulations of turbulent flows increasingly significant. Whether in product development, quality assurance, applied research or consulting activities – high-quality simulations provide reliable results and added benefit. In turbulent flow simulations, the last years have seen remarkable progress in turbulence modelling and numerical methods. These developments are presented at the university short course “Numerical Computation of Turbulent Flows in Research and Practice” of GVT Forschungs-Gesellschaft Verfahrens-Technik, to which ISimQ as a simulation specialist contributes. Renowned experts in the field will provide engineers from industry and research with the necessary tools from 12 to 14 September 2018. The three-day course at Technische Universität Dresden offers six lectures each day on modern methods for turbulent flow simulation, discussions and exchange of experience. ISimQ’s Dr.-Ing. Georg Scheuerer contributes three lectures to the short course on solution algorithms for finite-volume methods, on numerical grids and their properties as well as on quality assurance for simulation results.